Habitat: Frequent on dry cultivated or bare ground, paths and grassland. 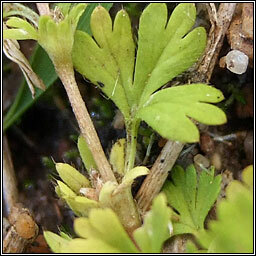 Minute yellowish-green flowers with sepals but no petals are clustered in the leaf-axils. Seeds usually winter-germinating. 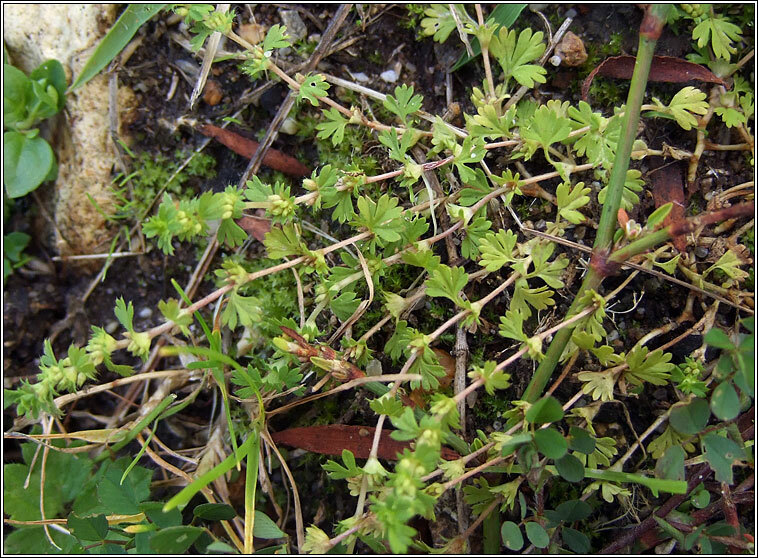 Stems erect or decumbent, the fan-shaped, short-stalked leaves with three deeply toothed lobes.